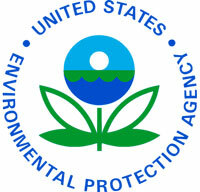 (Nanowerk News) The U.S. Environmental Protection Agency (EPA) today announced the nominations for the 2013 Presidential Green Chemistry Challenge Awards for companies and institutions that can design chemicals or a new product that help protect public health and the environment. Award-winning technologies during 2012 included one which saves $2 million to $20 million each year in each of eighteen plants, which convert bauxite ore into the raw material for making aluminum. Another technology is saving over $1 million each year in a large paper mill. Today’s awards reflect the ongoing commitment President Obama highlighted in his State of the Union address to partner with businesses and communities to encourage investments that help small businesses and grow the U.S. economy. Since the inception of the awards 18 years ago, EPA has received 1,490 nominations and presented awards to 88 technologies. It has resulted in the generation and reduced use of more than 825 million pounds of hazardous chemicals and solvents, saved 21 billion gallons of water, and eliminated 7.9 billion pounds of carbon dioxide releases to the air.